BURNTmd, originally from Brooklyn, New York now lives in Burlington, Vermont where he has received a huge amount of media recognition for his contribution to Vermont hip hop culture. 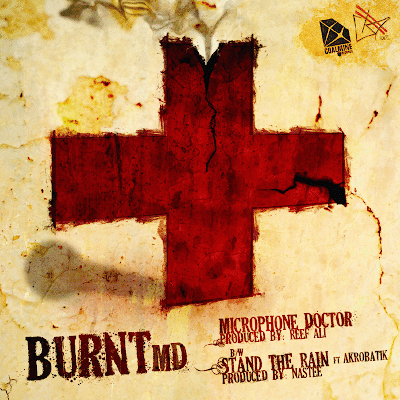 Dubbed MD, or Microphone Doctor, BURNTmd can be very creative, inspiring, and intense at the same time. With the production and talent of many different artists contributing to the Growth Till Death movement, GTD has been able to establish itself as a premier entertainment company in New England. Below are two joints released earlier this year that were featured on BURNTmd's first worldwide digital 12" single for GTD Entertainment/Coalmine Records.